Going to Malabrigo Elementary School in Lobo, Batangas was a tough ride. The roads were bumpy, curved from one edge to another, a zigzag, and it feels like ascending a mountain since the school is located at a high land. Jerome Orosa is an incoming grade 6 student of this school. He comes with his little brother Justine who is an incoming grade 2 student. Their mother Rowena said they do not have any school supplies yet for the opening of the new school year. 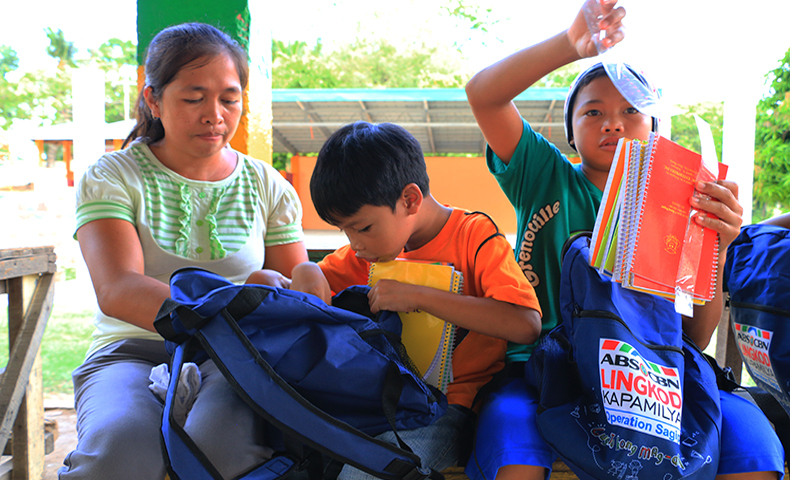 Jerome, rightmost, with his little brother Justine, and Mother Rowena, checking their new school bags and school supplies. 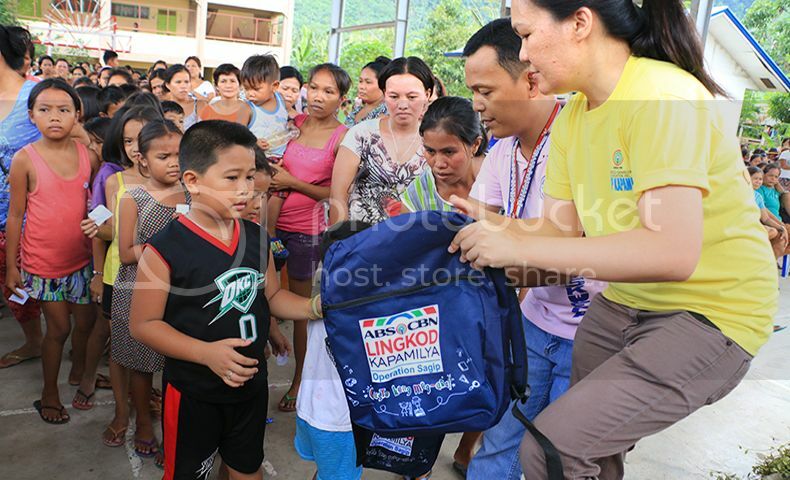 Jerome and Justine are among the 2,000 students from Lobo, Batangas, who received Gusto Kong Mag-aral backpacks and school supplies from ABS-CBN Lingkod Kapamilya Foundation, Inc.’s Operation Sagip. The distribution in Lobo was carried out together with Bantay Kalikasan. Other students in Lobo who became the recipients of the project are from Lagadlarin ES, Mabilog na Bundok ES, Sawang ES, Balibago ES, Punas – Balibago ES, Nagtaluntong ES, Lobo Central School, and students from Bantay Kalikasan’s Organic Farming sites – TOFA People’s Organization and Lobo Community Organization and Volunteer. Operation Sagip also gave 2,000 backpacks and school supplies to students of Sto. Tomas Elementary School Annex and Dayap Elementary School Annex (also known as Oscar M. Lopez Elementary School) in Southville 7 in Calauan, Laguna. These students are from families who were survivors of Typhoon Ondoy, those who were relocated from the on-going rehabilitation of Estero de Paco and Estero de Pandacan in Manila, and those who were relocated by the National Housing Authority. 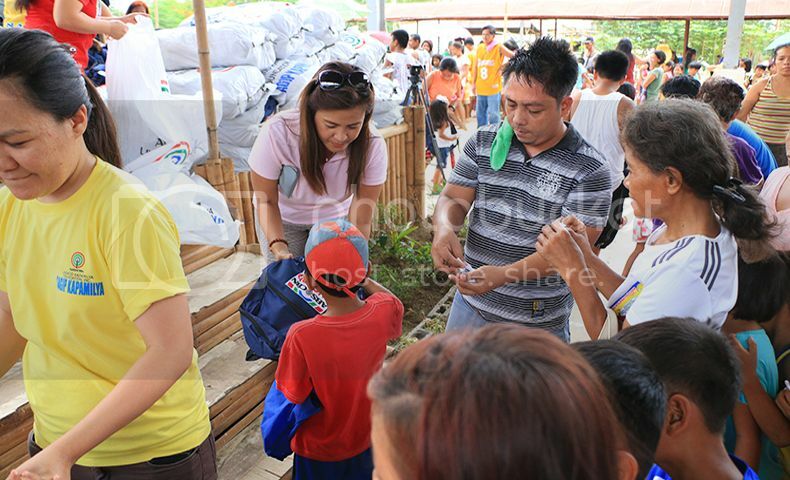 The distribution was carried out in partnership with BayaNiJuan, a project under Operation Sagip. To date, Operation Sagip already reached 42,534 students from schools in Palawan, Bukidnon, Bataan, Catanduanes, Albay, Camarines Sur, Camarines Norte, Bulacan, Zambales, Aurora, Ilocos Norte, Benguet, Quirino, Cagayan, Cagayan de Oro, Pampanga, Nueva Ecija, Laguna, and Mindoro. The Gusto Kong Mag-aral project became possible because of the donations Operation Sagip received. 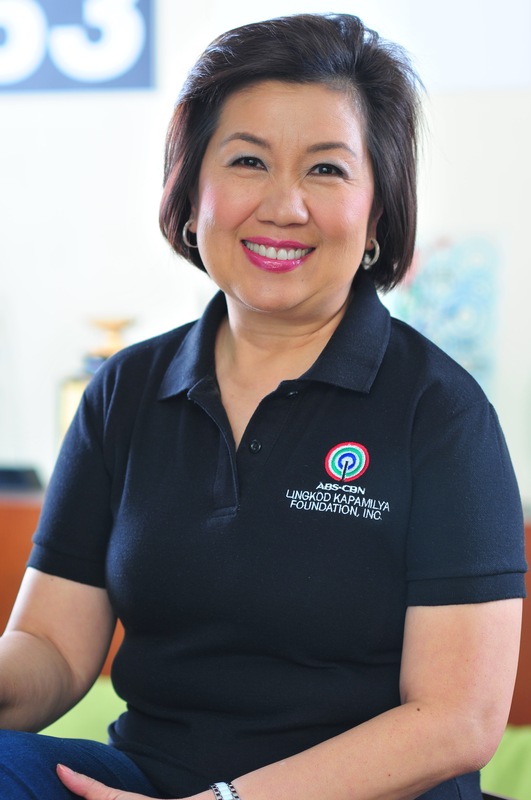 For more details, visit www.abs-cbnfoundation.com, or the official facebook page of ALKFI at www.facebook.com/abscbnfoundationkapamilya. You may also check the #GustoKongMagAral tags online or call 411-4995.